textscape: Richard Louv challenges the environmental establishment brand -- Where's the vision? Richard Louv challenges the environmental establishment brand -- Where's the vision? Landscape architecture month is off and running with a strong focus on landscape and its impact on public health and active living. The Horticultural Society of New York launched its observances with a screening last night of Olmsted and America's Urban Parks, a feature written by Rebecca Messner. (Messner's film has been shown on public television and, as of this writing, is available to watch in full on thirteen.org.) It's difficult to capture all Olmsted's accomplishments in a one-hour film, but Messner clearly focuses on the public -- and personal -- health impact of landscape design. She attributes Olmsted's childhood experiences in the countryside as critical in his intellectual development; she asserts how the experience of nature repeatedly aided his personal emotional health; she emphasizes his work with the U.S. Sanitary Commission; she contrasts him to Calvert Vaux, who is described as an artist, whereas Olmsted as a public servant. Messner certainly is in sync with the portrait provided a while ago by Professor Thomas Fisher on The Design Observer Group website, "Frederick Law Olmsted and the Campaign for Public Health." So it was with relief that the name Olmsted did not even come up, one night later, at Richard Louv's lecture at Columbia University, sponsored by the Columbia Landscape Design Program. An echo of Olmsted did, however, resonate through one of Louv's concepts which clearly engaged the audience: the necessity for creating "de-central parks" throughout urban areas. The concept is that Central Park-type developments have been a great benefit to cities, and will continue to be. But the creation of such large central "natural" spaces is practically impossible in 21st century urban setting; the land on that scale just isn't there. "De-central parks" can still be created -- pocket parks, "button parks" (even smaller), roof gardens, green roofs, urban/vertical farms, green walls, schoolyard gardens, etc. With sufficient native plants, the de-central parks provide new arteries for the recovery of biodiversity and the air/water/experiential benefits of nature. 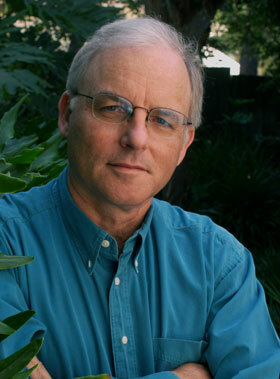 Richard Louv, a journalist long acknowledged as a distinctive voice on environmental topics, and best known for his promotion of the concept of Nature Deficit Disorder in Last Child in the Woods and other books, spoke urgently to the youthful Columbia University audience about the fact that the average age of supporters of the Nature Conservancy is 65. He cited other statistics indicating declining interest in environmental topics by younger Americans --- and he provided this explanation: the concept of "sustainability" and others such as "carbon footprint" that are used routinely by the mainstream environmental groups, have become dispiriting. These concepts imply the that the best we can do is to "sustain" -- not get any worse than we already are; no hope for something better. He challenged the environmental movement with a major public relations fail (my characterization, not his) saying that the American environmental establishments fails to provide a counter view to all the dystopian visions of the future (the future as Mad Max or Hunger Games). Louv recounts all the ways in which the experience of nature has been shown to have positive effects on children with attention deficit disorder, to promote creativity, to enhance physical and emotional healing in hospitals, etc. Yet the environmental movement has not successfully, in a compelling way, created a positive vision of a future. A positive vision of the future not just rescued from environmental degradation but enlivened, empowered, and enriched by new opportunities for all of us to experience a better life in nature. Not one just to complain, Louv makes his own effort to create this new future vision of nature-enriched life with his newest book, The Nature Principle (2011, now in paperback). The book (according to his website) "shows us how tapping into the restorative powers of the natural world can boost mental acuity and creativity; promote health and wellness; build smarter and more sustainable businesses, communities, and economies and ultimate strengthen human bonds." Richard Louv is a journalist, not the landscape designer-public servant that Olmsted was. Yet Louv's vision of a promising future in part made possible by landscape architecture is pure 21st century Olmstedian, without the nostalgia.